Entries should be returned to The York Emporium Book Store, 343 West Market Street, by Saturday, March 5, 2016. If you'll be downtown for First Friday, coloring pages and crayons will also be available at CoWork155, located at 155 West Market Street. 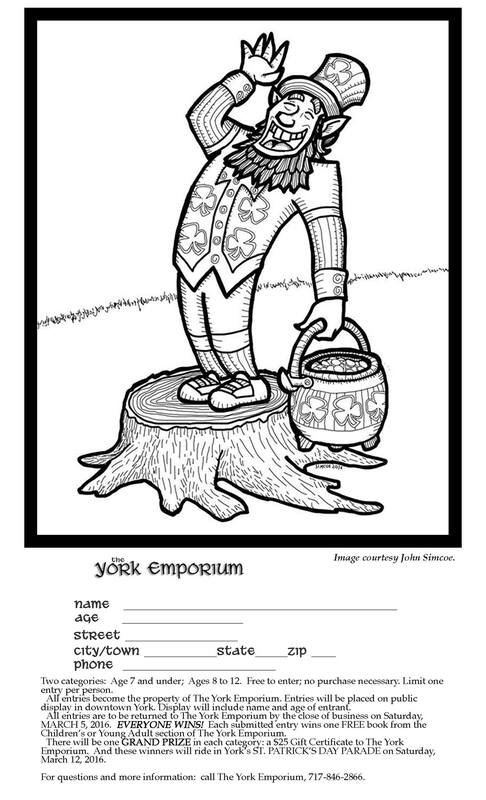 All youngsters entering the contest will receive a free book when they turn their entries in to The York Emporium.